Okay, I lied—I thought I'd be done with Missing Pieces until 2015, but there were some weird last-minute announcements that I thought we should probably cover even if it means setting down this eggnog for a second. S.T.A.L.K.E.R. is...back(? ), Grand Theft Auto goes to a galaxy far away, and Titanfall 2 might herald the end of EA's "Origin-exclusive" policy—this and more, in a special mini-edition of our weekly round-up. Before Metro 2033 there was S.T.A.L.K.E.R. : Shadow of Chernobyl, and it was hard as hell—a grim, realistic take on nuclear disaster. And everyone loved it. But then the developer went out of business and Metro was spun off and then some other guys at West Games started saying "Hey, we're making a new Stalker game! We were the original devs!" and that seemed fishy but nobody really knew what to do about it. The real Stalker devs apparently knew what to do about it though. Over the weekend, GSC Gameworld (the original Stalker devs) announced they're back in business and working on a new Stalker game. GSC's Valentine Yeltyshev also took the opportunity to denounce the impostors at West Games, telling Gamesindustry.biz that those devs were only tangentially related—working on "a flash game" during the development of Stalker 2. Divinity: Original Sin is a great game. 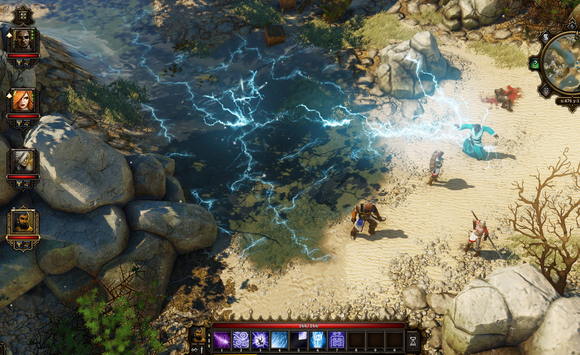 This week, developer Larian announced it's making two other (hopefully great) games based on the Divinity: Original Sin engine. That means two more CRPGs for us. Fantastic. Larian founder Swen Vincke writes, "There’s tons of stuff we can do in the type of gameworlds we pioneered with D:OS and we intend to show that it was a mistake to abandon this type of gameplay in the beginning of the century." I've been playing Elite: Dangerous for the past week now, and it's fantastic. There are rumblings in the Star Citizen corner too though—this week marks the 1.0 release of Star Citizen's Arena Commander module a.k.a. 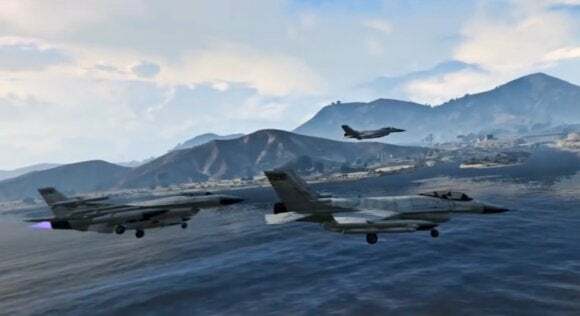 its dogfighting piece. Side note: Star Citizen has now raised over $67 million with its crowdfunding campaign. Remember when EA stopped putting its new games on Steam, apparently in an effort to force everyone over to Origin? Titanfall developer Respawn certainly remembers, and if a recent Game Informer interview is any indication the studio is not happy about it. "We would have loved for it to be on Steam from day one, but at some point it just doesn't make sense anymore and you start looking to the future and I think we should not make that same decision again," said Respawn CEO Vince Zampella. Once more for posterity: "We should not make that same decision again." The past's the past, but you have to wonder whether the game's community might've lasted longer had it started off on Steam. As it is, I think Titanfall wins everyone's "Oh yeah, remember when that came out this year?" trophy. Let's hope Titanfall 2 starts a cavalcade of EA games returning to Steam. Last week, Minecraft creator Notch bought a mansion. This week, someone recreated said mansion in Minecraft. The circle of life continues. Just kidding, that's it. Eggnog resumed. Happy holidays, et cetera et cetera. And make sure to keep an eye out for our Game of the Year coverage later this week.